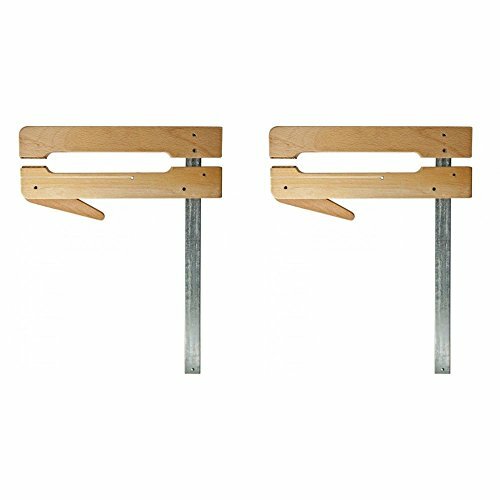 MIRO-Moose Brand clamps are made in USA by the Dubuque Clamp Company, This set of 2 Traditional cam clamps is made of American Maple hardwood and steel, for years of daily use. They're faster and easier to use than metal C-clamps, and they give strong pressure for instrument assembly. Slide the upper jaw into position and flip the offset cam lever to tighten the clamp. The jaws have protective cork lining. These Luthier tools are preferred by guitar makers the world over. Made of sturdy American maple and strong rust-resistant galvanized spring steel, for years of daily use. Light weight, easy to use yet provides abundant clamping power!